Welcome to the 150th comic. 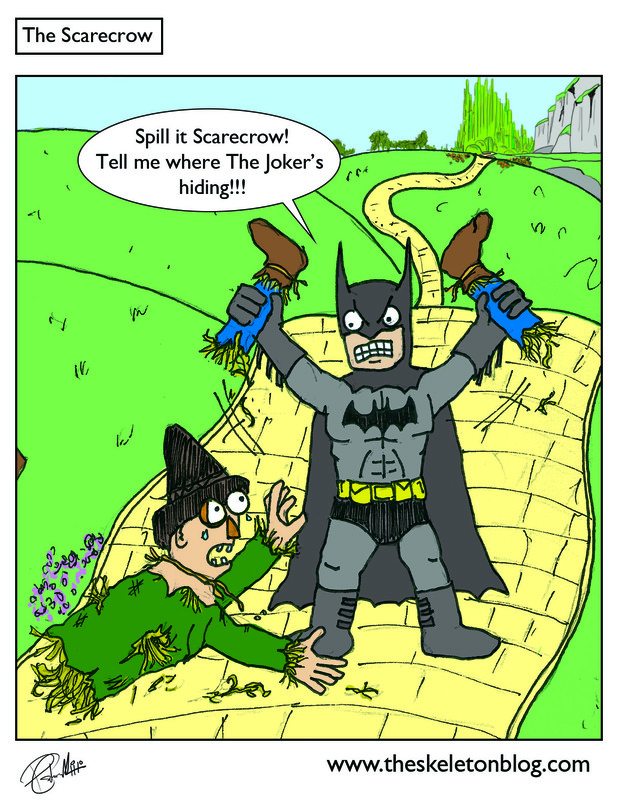 Please enjoy Batman and The Scarecrow in their epic battleings. I saw 'Oz: The great and powerful' the other week and it was pretty serviceable, mostly because James Franco is hilarious in anything he's in and because both Mila Kunis and Rachel Weisz are in it. A couple of things have to be said about it though. Quite a lot of cleavage for a kids film and green cleavage at that. Mila Kunis has a big green moon face which (not witch, ha!) is fairly distracting along with said green cleavage. Also Mila kunis has a screechy Meg Griffin voice that doesn't work well when she shouts and she shouts alot in this. This has turned into a bit of a Kunis bashing hasn't it? 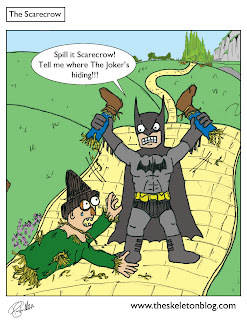 She's good in other stuff just not as the wicked witch. I'd like to add that the flying 'bellboy' monkey was well done, the other flying monkeys were terrifying and that like most movies, this one was about a half an hour too long.